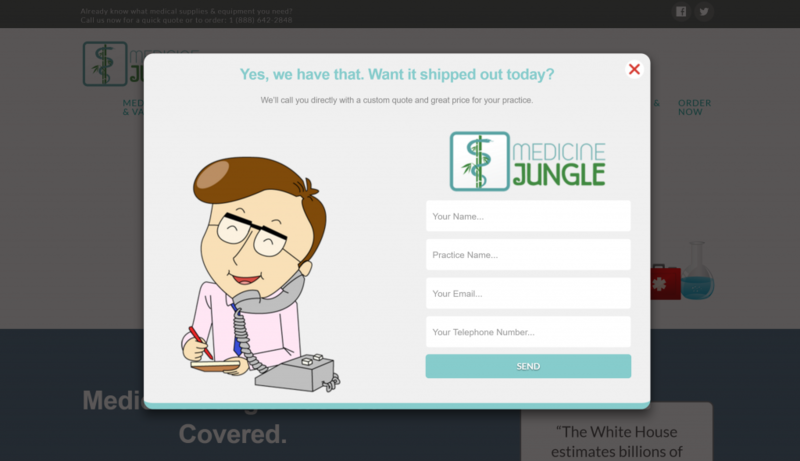 We did the website and logo for Medicine Jungle. This site is an online wholesaler of medical supplies for hospitals, doctors’ offices, and various clinics. They wanted a fun, simple site that allowed visitors to contact them for a custom quote. The comprehensive contact form is an impressive feature, we added every category of supply to a checklist in the contact form that allows a visitor to indicate all products they would like to receive quotes for.